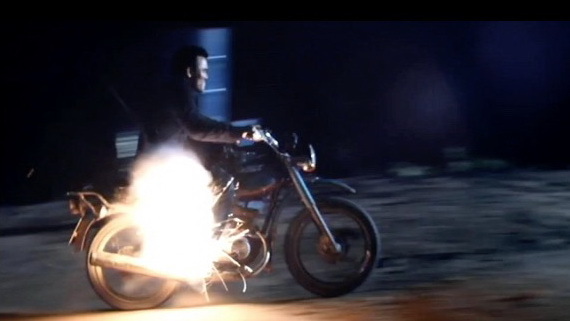 Our 650cc Ural and modified 125cc Minsk motorcycles have long been cult favourites in movies and television shows. 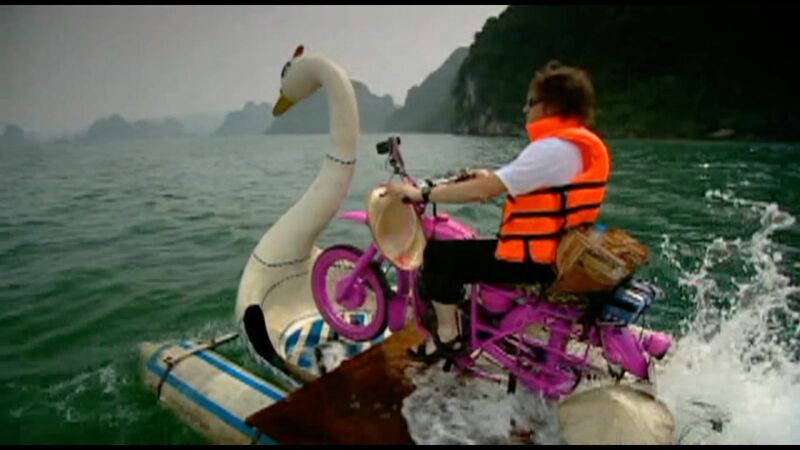 Top Gear Vietnam Special: Richard Hammond rode the famous pink Minsk (which is still in our garage) from Saigon to Ha Long Bay, where our team made it amphibious so that he could spend a day cruising the bay. Indiana Jones and the Last Crusade: Indy and Sean Connery take out a platoon of machine gun wielding Nazis with nothing but a jousting spear and a Ural. 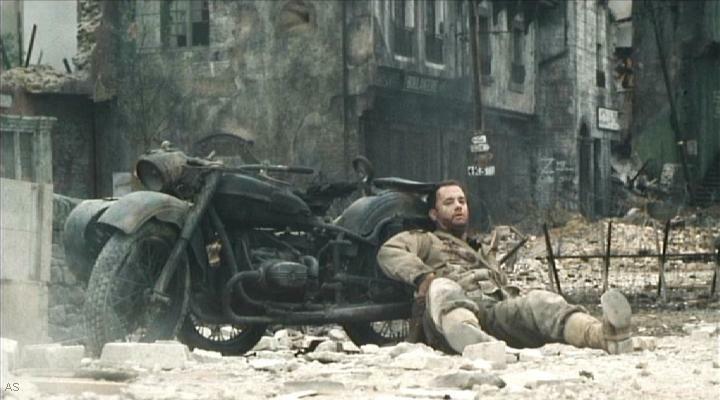 Saving Private Ryan: Toms Hanks fires off his last bullets while leaning against a Ural sidecar. Duel Survivor: Parts stripped off a Minsk motorbike are used to survive in the wild. The sparkplug is used to start a fire, a signal fire is made from burning the bike’s tires and magnesium filings from the engine case are ignited by sunlight concentrated from the headlamp mirror. Gordon Ramsay’s Great Escape: Gordon Ramsay rode a Ural solo in Mai Chau and cooked with some of our local friends. 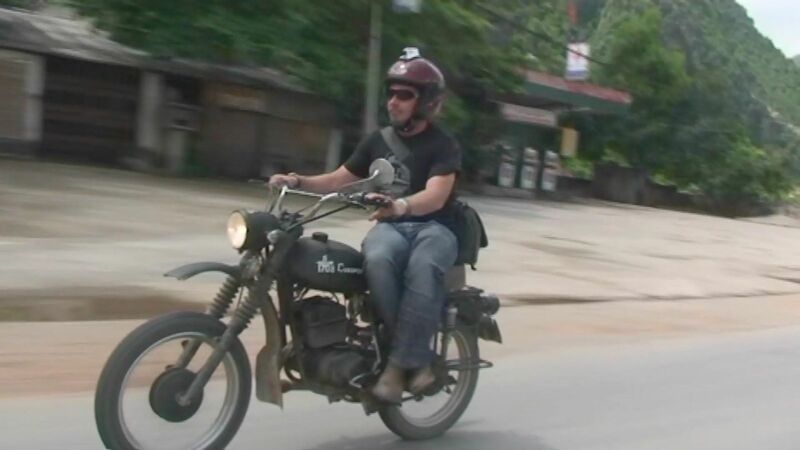 By Any Means: Charlie Boorman chose a Minsk to ride from the Chinese border down to Hanoi. 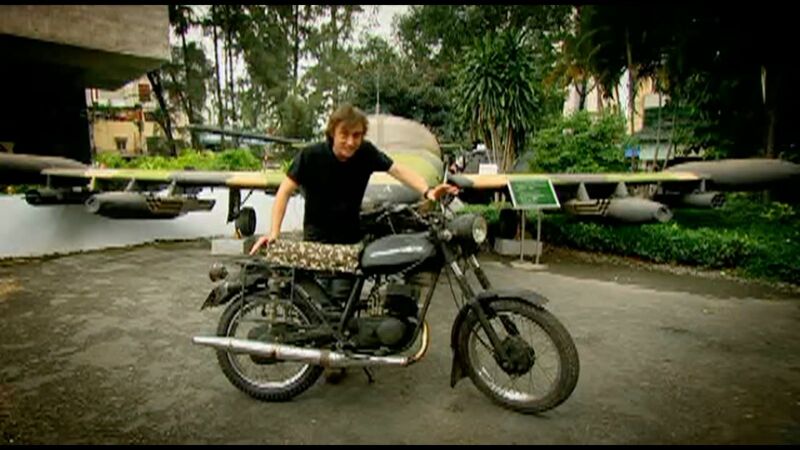 Freedom Riders Asia: Charlie Boorman rides a Ural around the streets of Hanoi and joins our annual Rally Indochina charity rally. 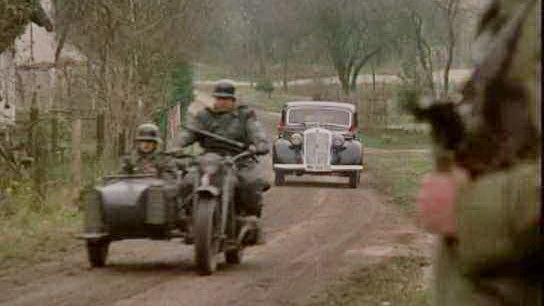 The Dirty Dozen: Urals are used in two dramatic fight and car chase scenes. 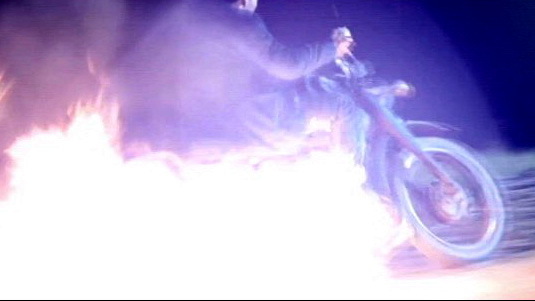 The Clash: The bad guy gets his Minsk blown up from under him by an AK47 wielding kung fu queen. 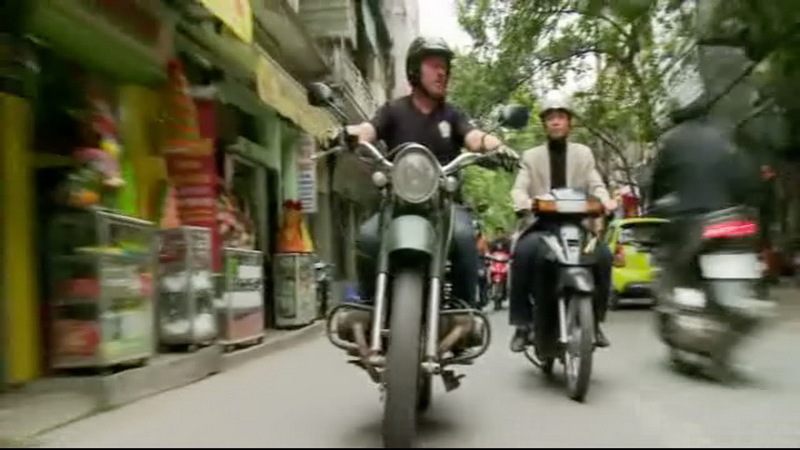 Dieter Nur: Germany’s top late night TV show host chose to cruise Hanoi in a Ural side car. 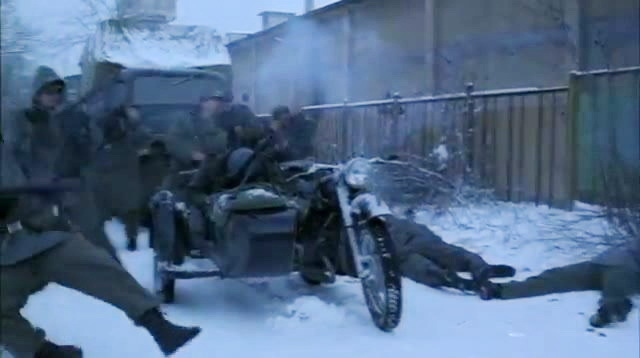 S.S. Doomtrooper: Zombi Nazis chase the good guys in a Ural.